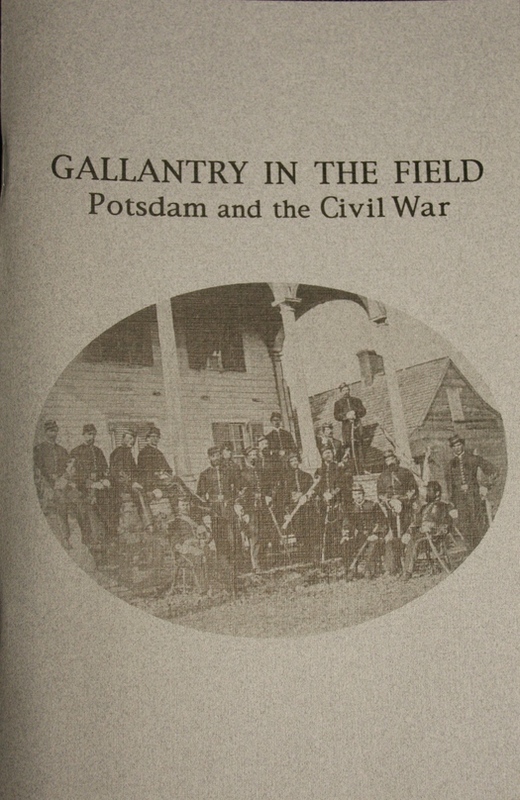 Some excerpts herein have been taken from the museum publication "GALLANTRY IN THE FIELD Potsdam and the Civil War". The publication can be purchased from the museum for $5.00 plus sales tax. The articles in this publication were first printed in the Potsdam Courier & Freeman between April 21 and September 14, 1961. In commemoration of the 100th anniversary of the Civil War. They were written by Helen (Mrs. Lloyd) Keller of the Potsdam Public Museum and Dee (Mrs. George R.) Little of the Courier & Freeman, and later of the Potsdam Public Museum. Re-printed with the permission of the Daily Courier-Observer. March 1997. NOTE: Recent information has been forwarded to the museum regarding an image of Major John C. Gilmore appearing on page 76 of the publication as incorrect. The image is actually that of General Quincy Adams Gilmore from Ohio.